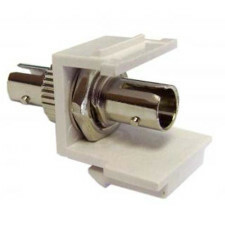 Connect two ST type fiber cables through this fiber optic keystone. This keystone fits most blank keystone panels, wall plates and surface mount boxes. If you are running duplex fiber (send and receive) then you will need two of these couplers. 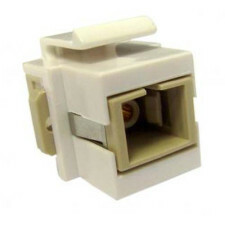 Fiber keystones enable installers to finish the job with a clean look that secures the ST, FC, LC or SC fiber cabling to a coupler mounted in a wall plate or surface mount box. This give the end-user the ability to use shorter fiber patch cables to make optical network connections without needing to handle the trunk line.